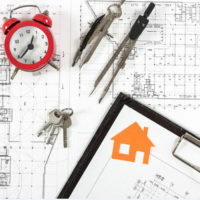 A contractor, or a designer, who agrees to design or construct an edifice for another also expressly or impliedly warrants to design or build the edifice with a degree of quality, effectively ensuring that the final product will be operable for the purpose which it was built, with no defects. If defects become apparent, in some cases, the homeowner may be able to recover the cost of the repair from the contractor or the designer. Retaining the services of an attorney experienced in drafting and negotiating construction contracts will help ensure that any liability on the part of the contractor or designer is kept to a minimum. In addition to ensuring that liability is kept to a minimum as the result of strategic contractual negotiation, there exists, in Florida, legal precedent that further limits the liability of a contractor or designer. The aftermath of the bridge at Florida International University that collapsed in March, in which the designer’s other projects are now the subject of increased scrutiny, illustrates how a single potential instance of liability can reverberate through almost everything a contractor or designer has done in the past or will do in the future. A discussion of the legal precedent referred to above, as well as strategies for using this precedent, will follow below. In 1959, the Florida Supreme Court decided Slavin v. Kay, in which they held that, in a construction project, once a property owner has made a reasonably careful inspection of a construction project and then accepts the project as complete, the contractor and designer will not be held liable for any patent defects in the project. That is, if there are any patent defects that could have been discovered and remedied by the property owner, then the property owner will not be able to recoup his/her expenses if he/she accepted the project as complete. Further, the test for whether a defect is a patent defect is not whether or not the defect was obvious to the owner, but whether its dangerousness was obvious had the owner exercised reasonable care. It is important to understand that the Slavin Doctrine is only applicable to patent defects. Liability for latent defects, or those defects which are not as easily discoverable, cannot be transferred to the property owner as a result of the Slavin Doctrine. This comes into play if a third party is injured on the Owner’s property. If the Owner is in control of the property and the reason for the injury was open and obvious, the contractor or designed may rely on the Slavin Doctrine as a defense to such claims, thereby placing liability on the Owner as opposed to the Contractor or Designer. An experienced construction contract attorney can ensure that the parameters of the Slavin Doctrine are met, thereby releasing liability of the contractor or designer upon acceptance of the project by the property owner. If you are a contractor or a designer, and are looking to ensure that the extent of your liability ends when you turn over the keys to the building to the property owner, contact the experienced construction contract attorneys at Linkhorst & Hockin, P.A. before entering into a construction contract. We have experience in negotiating construction contracts, and will ensure that you are protected to the fullest extent, including appropriate application of the Slavin Doctrine. Contact our Jupiter office today.